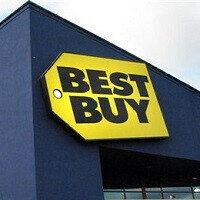 An employee of Best Buy in Crestwood, Missouri was arrested and charged with a class C felony after an investigation revealed that he withheld thousands of dollars’ worth of gift card receipts from customers when they activated their mobile phones. In addition to that, Ryan Holman, also stole over $20,000 from Best Buy over a two-year period in the form of performing fraudulent trade-ins in order to keep the money. Theft from Best Buy aside, consumers who bought and activated phones at this location probably did not even know they were eligible for gift cards. According to some insight we received from someone that worked there, Holman would make a pitch to a customer for a device that was eligible for a gift card. The card would be a part of a printout of the receipt, but instead of giving that to the customer, Holman allegedly held on to that part of the receipt, the customer unaware they should have received a gift of any kind. Thanks Sniggly, for the insight. This is bad but I kinda admire a person with a trait like this. What trait ? Being a fraud...? Gift cards from bestbuy? Heck I wouldn't believe it either with those ridiculous prices. Another poorly written article littered run-on sentences and spelling/grammar errors. Please find writers who are actually fluent in English. I just switched carriers to Verizon and didn't know about the gift cards until the guy that was doing everything told me that for switching carriers I got a $150 gift card (which I was allowed to use to pay for my device, Geek Squad protection, case & screen protector). Wonder why he not in top level management of Best Buy? Must not have been an sycophant type personality! Damn, this is the Best Buy nearest to my house! I probably met this jerk! Glad I get all my phones through the carrier or manufacturer directly. I bet the vast majority of them bought iPhones...lol Because they are too stupid to know wnay better. They be so happy to ge there new device that's really 2 years old out the box, they dont even ask questions about anything else. That's why I only buy devices directly from my carrier. Less likely to get burned because if Verizon was to ever fraud me, they'd have to pay be thousands to keep quiet.